MPs rejected Prime Minister Theresa May's Brexit deal for a third time on Friday with 344 votes against and 286 in favour, plunging the country to a deeper level of uncertainty on the very day it was supposed to leave the EU. "I fear we are reaching the limits of this process in this House," May told parliament after the defeat. "The implications of the House' s decision are grave." 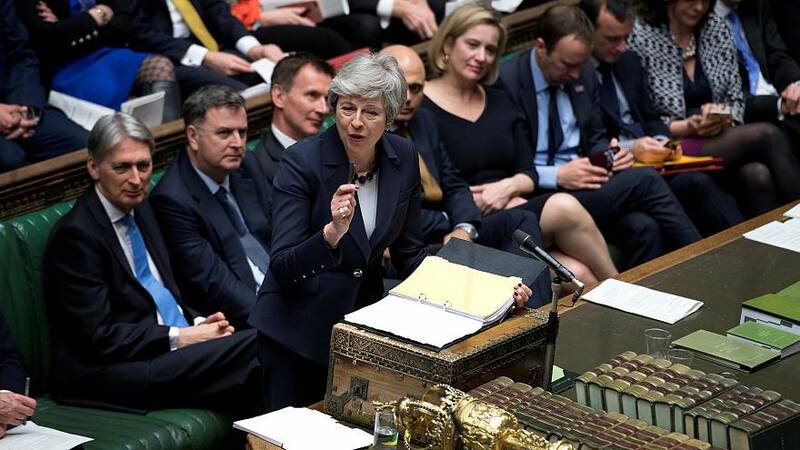 May had framed the vote as the last opportunity to guarantee Brexit, making a passionate plea to lawmakers to put aside party differences and come together in the national interest. "The legal default now is that the United Kingdom is due to leave the European Union on April 12," May said after the vote. She warned that any further delay to Brexit would probably be a long one beyond the current deadline and would mean Britain holding elections to the European Parliament. READ MORE: What's in Theresa May Brexit deal and why is it so unpopular? Within minutes of the vote, European Council President and summit chair Donald Tusk said EU leaders would meet on April 10 to discuss Britain's departure from the bloc. A succession of European leaders said there was a very real chance Britain would now leave without a deal, a scenario that businesses fear would cause chaos for the world's fifth-biggest economy. French President Emmanuel Macron, speaking as parliament voted, said the EU needed to accelerate no-deal planning and Austrian Chancellor Sebastian Kurz said that unless Britain came up with a plan, there would be a "hard" Brexit. "The risk of a no-deal Brexit is very real," Dutch Prime Minister Mark Rutte told reporters. READ MORE: No-deal Brexit: what would ‘WTO terms’ mean for UK-EU trade? A second round of 'Indicative Votes' will be held on Monday in an attempt to get a clear result on a scenario that will gain major support in the house. A first-attempt at non-binding "indicative votes" on Wednesday failed to produce a majority for any of the eight options on offer. Many MPs have called for May's resignation and a snap election - even though it would throw up a host of unknowns for the major parties. "The last thing this country needs right now is a general election," transport minister Chris Grayling told Sky News. "We've actually got to sort out the Brexit process, we can't throw everything up in the air." May's spokesman said she would continue talks with opponents of the deal. Some political correspondents think she could bring it back a fourth time. "What should have been a celebration is, in fact, a day of betrayal," Nigel Farage, a leading Brexit campaigner, said. Take a look through our minute-by-minute coverage of the vote in London. Want to keep up with the news? Sign up for our WhatsApp newsletter!